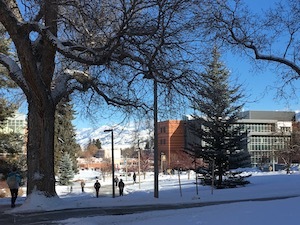 Bozeman has an attractive downtown featuring a vibrant main street, pretty residential streets with historic homes, numerous parks and paths, and the attractive campus of Montana State University. Rather than chart a specific route, here are some recommended spots to incorporate into a downtown Bozeman run. These are all interconnected and can be incorporated into some of our other Bozeman routes. Historic Streets. The part of Main St. with numerous restaurants and shops is from 8th Ave. in the west to Lindley Park in the east. Have fun exploring the pretty, tree-lined residential streets coming off Main St., some featuring historic homes. Among the nicest are Black Ave.. Wilson Ave., Olive St., S. 3rd Ave. The area between Main St. and the MSU campus is really pretty for running, with long east-west and north-south streets. Montana State University. Home to 16,000 students, this campus located just south of Main St. has historic buildings, numerous paths, and an outdoor track at the Bobcat Track and Field Complex off W. Kagy Ave. Parks. Lindley Park has trails and is off the Gallagator Linear Trail. Peet’s Hill and the Bozeman Trail come right off the Gallagator Trail near the Library and feature lovely ridgetop running. 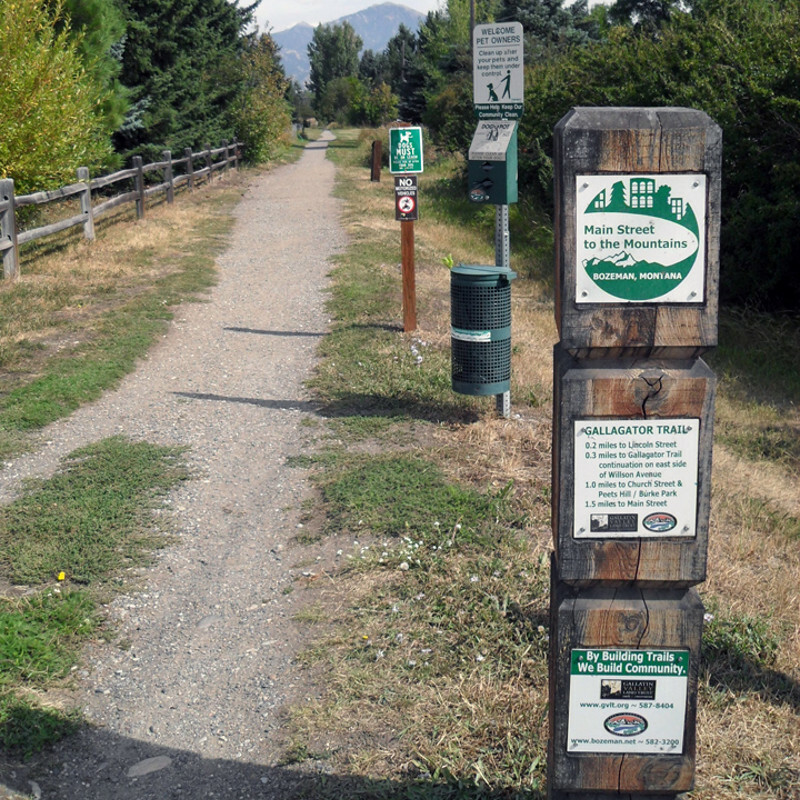 Grafs Park is 2 miles south of Main St., has nice paths, and is the northern terminus of the Sourdough Trail.